Our greatest investment – your house – could be susceptible to uncomfortable multi attacks, from many kinds associated with unwanted pests. A pest in your house can make a hazardous atmosphere for the family. Just understanding that an undesirable pest is in your house might be enough to help keep you awake and suffer during the night. sleep well and realize that our team is taking care of you carefully from the pests in your house offering Maximum Residential Pest Control. 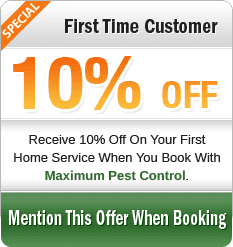 Service Residential Plans: Monthly, Quarterly, Annually, Contact us today to schedule a residential pest control service. We have the right service plan you utmost need! Providing comprehensive pest management throughout the GTA and Southern Ontario, including Toronto – Mississauga – Brampton – Milton – Oakville Hamilton – Burlington – Niagara.